Washington: The United States sent two Navy ships through the Taiwan Strait, the third such operation this year as the US military increases operations in the strategic waterway despite opposition from China, reports Al Jazeera. “The ships’ transit through the Taiwan Strait demonstrates the US commitment to a free and open Indo-Pacific,” the US Pacific Fleet said in a statement. 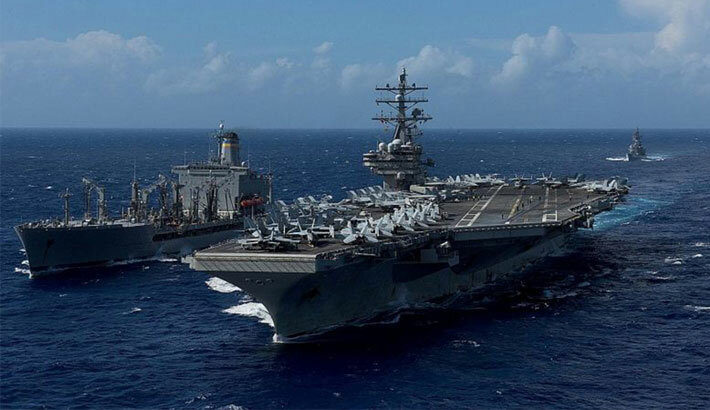 “The US Navy will continue to fly, sail and operate anywhere international law allows.”An anonymous US official told AFP news agency that Chinese ships asserted a “presence” during Wednesday’s sailing, but all interactions between the two navies were “safe and professional”.